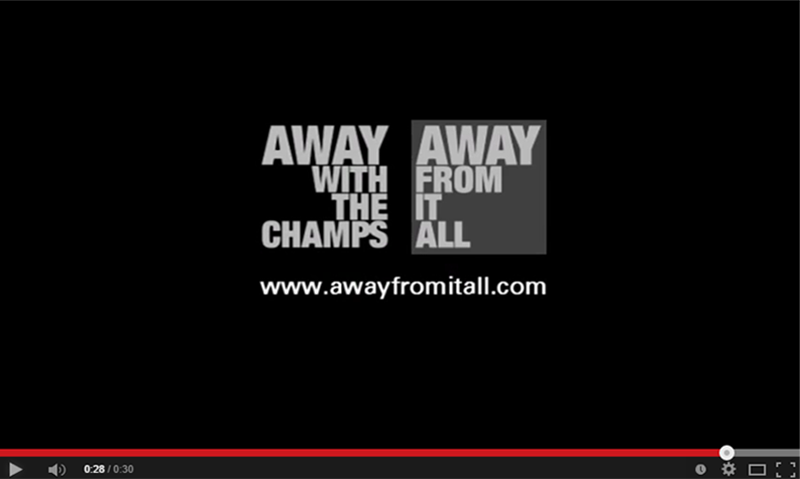 ‘awayfromitall’ creates one-of-a-kind, active travel experiences! We are not talking ordinary ski-, bike- or hiking trips, nothing off the peg and definetely nothing you could get in any given travel agency! We are talking about something special: Because the one who is really designing these trips… is YOU! We are no city dwellers and we can’t tell you anything about the nicest beaches on this planet. We believe in the added value of active experiences! The places we pick can be both: deliciously simple or ridiculously expensive. It’s the balance that makes the difference! If you feel that this is not enough: We have company for you! With ‘awaywiththechamps’ we offer you the opportunity to travel with former world-class athletes, Olympic Champions and World Cup Winners! Your ideas go much further? Our proposals are just a ‘little bit to much’ for you? You would like to skip some of the ingredients and add some others? No problem! We are very flexible and a trip that has not been changed in a million details occurs as often as an ice bear in the desert. If it’s not prohibited, we’ll do it…! Challenge us! For more information, please contact us at info@awayfromitall.de or call us at +49.9251.4373136. awayfromitall – we create memories!